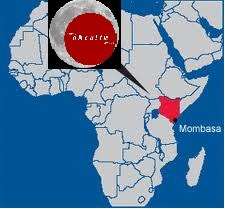 UK Hijama Specialist Dr Rizwhan Suleman is visiting Kenya this summer to provide a hijama awareness seminar at Mombassa’s Medical Professionals Evening. The visit will be an attempt to help revive the Sunnah in east Africa and to enlighten a small group of health professionals on the practice. Hijama is an ancient medical treatment used and recommended by the prophet (saw). It is practiced by forming suctions on the surface of the skin over very small cuts or pin pricks allowing the removal of inflamed, harmful, toxic or stagnant blood. The benefits of hijama have been recognised & utilised by prominent scholars & physicians throughout history. The Prophet (saw) himself used it to relieve migraine, treat hip pain & promote general health. Hijama encourages blood circulation & heightens immune function. It helps restore balance in the body allowing it to function at the optimal level. Hijama is effective in aiding the treatment of a wide number of ailments & can be used as a preventative medicine to service the body & maintain good health. When practiced in a clean & hygienic environment under the guidance of a qualified Doctor or Health Professional, hijama is very safe & relatively risk free. A full health assessment must be carried out before having any treatment. This includes a detailed case history & physical exam. Heart rate, temperature, blood pressure & medications should always be checked. Further tests should be carried out if needed before treatment. Why might Kenya Need Hijama? Kenya like many African countries is a land with great natural resources and wealth, ironically however Kenya faces huge amounts of poverty and debt leaving many people unable to afford medical care. On many occasions people will avoid seeing a doctor for pains and problems due to the fear of cost implications. Long term medication and pain killers are just too expensive for most people to afford. Hijama is a cost effective and efficient solution to help people in such cases. By reviving the practice of hijama and educating people with the benefits of it people can manage many illnesses and conditions with the aid of qualified doctors and practitioners. What is the Aim of the visit? The aim of the visit is to help educate health professionals, doctors and eventually the general population about the huge benefits that hijama can bring to the health care system when integrated appropriately into general practice. It is designed to encourage Kenyan Medics to look at hijama in a revived and modern scientific light rather than an out dated traditional practice. The hope is to revive this sunna and allow it to be widely available in clean, safe and clinical environments, and to encourage its inclusion into the list of treatment options available to patients suffering with everyday ailments. We are a group of health professionals and experienced hijama therapists that provide hijama in an increasing number of clinics throughout the UK. We have years of experience in practicing hijama & provide care for our patients under the guidance of Dr Rizwhan Suleman (Mchiro). We are all passionate about promoting natural health through the guidance of the Quran & Sunnah. Our aim is to revive this forgotten Sunnah & make it a means of bettering the health of the Ummah. Dr Rizwhan is a Doctor of Chiropractic Medicine giving him a particular interest in neuro musculoskeletal medicine. He studied Human Biology (BSc) at the University of Glamorgan & went on to transfer to study a Masters Degree in Chiropractic Medicine at the Welsh Institute of Chiropractic, dedicating over 6 years in the study of health & medicine. He was taught hijama by a traditional practitioner but later went on in search of better knowledge on the subject. He has completed a course in hijama at St Georges Medical University London & has practiced hijama in Saudi Arabia. He is in contact with a number of Doctors practicing hijama as well as taking insight from traditional practitioners. He is a member of the International Cupping Society & has over 5 years of clinical experience practicing hijama.